Wherever you choose to live in the Maricopa Area, Realty AZ Central’s expert real estate agents can help you find the perfect home. 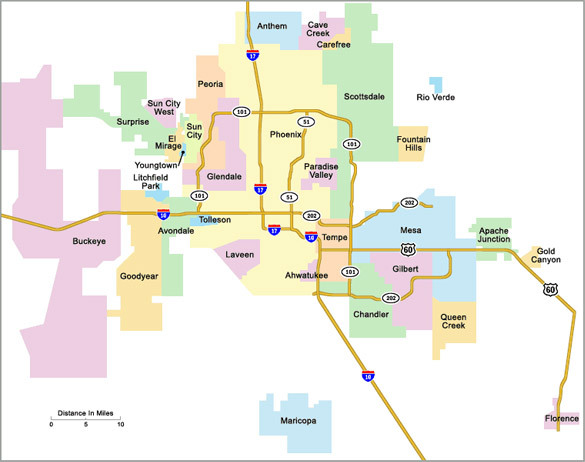 Click the map above to learn more about the cities and neighborhoods that make up the Maricopa County Area. For current, neighborhood-specific updates affecting the Maricopa Area homes for sale, visit the real estate market conditions section of this site.